Men like stuff, and if you’re anything like me, its not just grooming stuff. 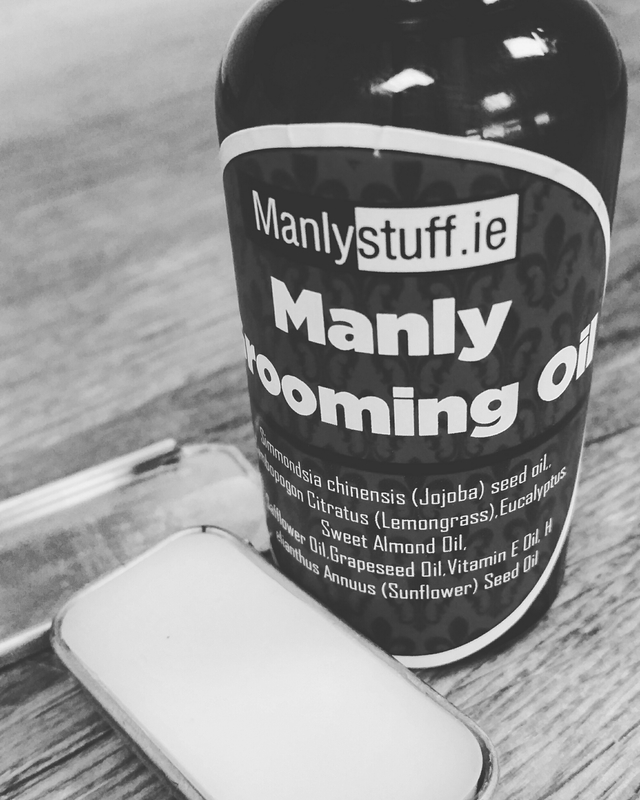 I received some samples recently from a local brand Manlystuff.ie Now these guys have the ability to look after all your manly needs, well almost all of them. Need a watch? These guys have it, wallet? Yup got that too. In fact, everything from that essential pocket square to shaving kits, these guys can deck you out in style. The guys were good enough to send me some grooming oil and moustache wax to try. The grooming oil, with classic citrus tones, infused with the freshness of eucalyptus and leaves a lasting freshness on the beard. Coupled with a nice shine and a beautiful soft finish, I really enjoyed using it. In a world full of citrus blended oils, this was one of the better ones I had tried, and the five star review rating on the website is well deserved. A nice size bottle at 50ml, it proves to be excellent value and certainly one I will use regularly. I’ve not used moustache wax much in the past. I generally keep mine quite short but I have recently let it grow longer than usual so was interested to see how good the wax was. It came in a nice little metal box with an intetesting slide top lid which when opened, revealed a beautifully fresh citrusy scent. The wax itself was quite stiff and needed a wee while in the jeans pocket to soften, but it was great, fresh and did the job superbly. These guys aren’t just trying to look after your beard. They’re looking after your every need, with the exception course of beer. I think they need to stock some beer, in the meantime though, I suggest you have a gander at their goodies, if you’re lucky you may pick up a bar again in their sale.